I recently posted this short video on Facebook and I wanted to share it with you. It is a very specific message to those who feel like they can “handle” the things the enemy is throwing at them. Through an instructional dream last week, the Lord showed me that demons are not meant to be “handled” or “tamed,” but CRUSHED! The problem is that we don’t always realize it’s the enemy – he has us convinced it’s just us – our own thoughts and issues. The dream was a wake-up call to me and I pray that you can recognize when the enemy is at work in your own life so that you can put him underneath your feet and crush him! 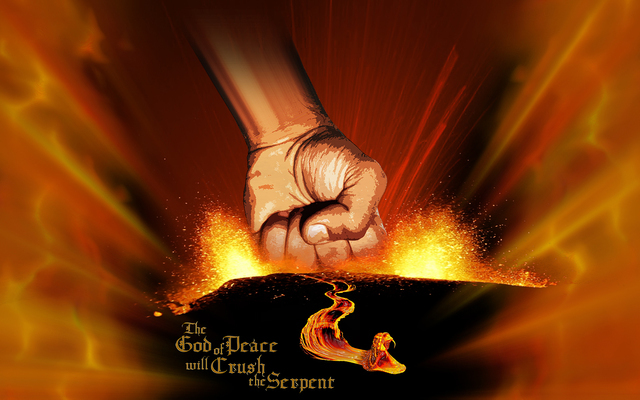 The God of peace will soon crush Satan under your feet. The grace of our Lord Jesus be with you (Romans 16:20 ESV). Amen..I stand with you; ! Thank you!